The Emirian company Alcazar Energy has just commissioned part of its Nubian Suns solar project 650 km from Cairo, Egypt. With a capacity of 64 MW, it is part of the large Benban solar power plant. It’s done! 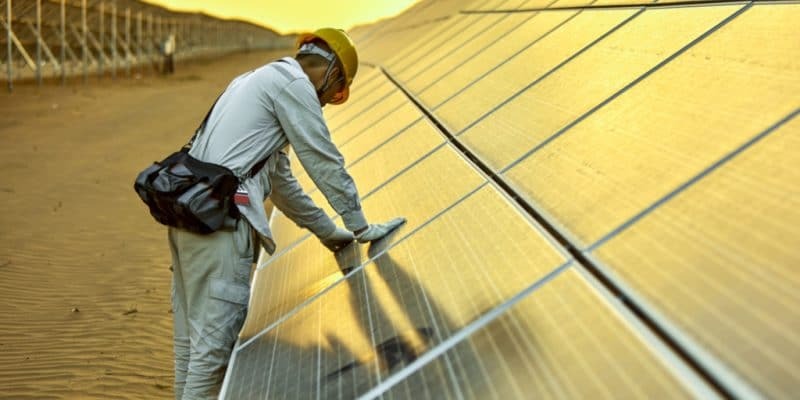 Part of the Nubian Suns solar park has just been put into commercial operation by its owner, Alcazar Energy, based in Dubai, United Arab Emirates. The 64 MW power plant is part of a major project in Aswan, 650 km from Cairo, Egypt’s current capital. The company, which employs 200 people in the Near and Middle East, wants to produce 256 MW in Egypt as part of its Nubian Suns project. The solar park it has just commissioned therefore represents barely 25% of its ambitions. It is located in the heart of the world’s largest future solar park, Benban, with an expected capacity of 1.65 GW. The Alcazar Energy Egypt Solar 1 (AEES1) project now completed and commissioned, the Emirian company will launch the second part. The first phase cost nearly $68.6 million. The independent power producer (IPP) was able to count on the financial support of several development partners. These are the International Finance Corporation (IFC), the private sector arm of the World Bank Group, the African Development Bank (AfDB), the Asian Infrastructure Investment Bank (EBIT), the European Arab Bank, CDC Group, a development finance institution owned by the British government, the Arab Bank owned by the Bahrain government…. These institutions will also finance the entire Benban solar project, the development of which has been entrusted to the IPPs. It is located in the middle of the desert, over an area of 37 km2. The entire solar park is subdivided into 41 power plants. They will all be connected to the high-voltage grid through four substations, which will be built on site by Egyptian Electricity Transmission Company (EETC), the public company in charge of electricity distribution. It has also signed power purchase agreements with IPPs, such as Alcazar Energy. The EETC substations will in turn be connected to an existing 220 kV line, which runs near the Benban site for a distance of about 12 km. Thereafter, EETC will also be able to provide an additional connection to the nearby 500 kV line.